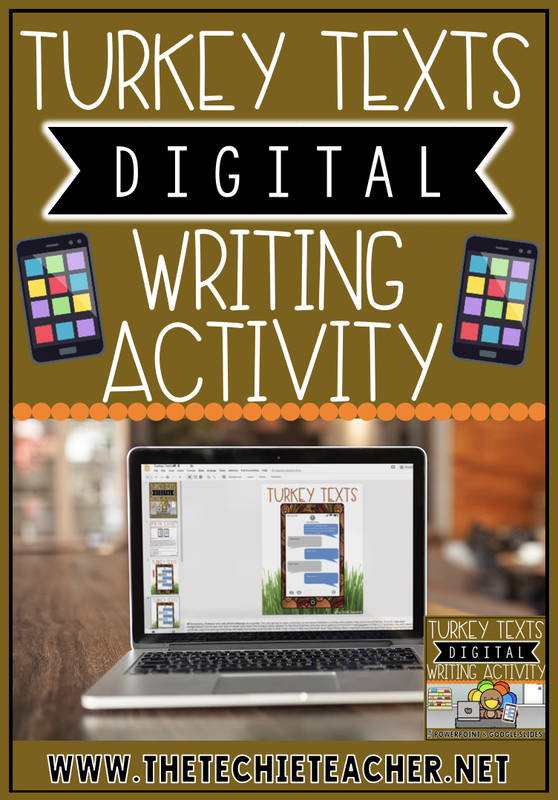 Turkey Texts Digital Writing Activity | The Techie Teacher® . The Thanksgiving countdown is ON! 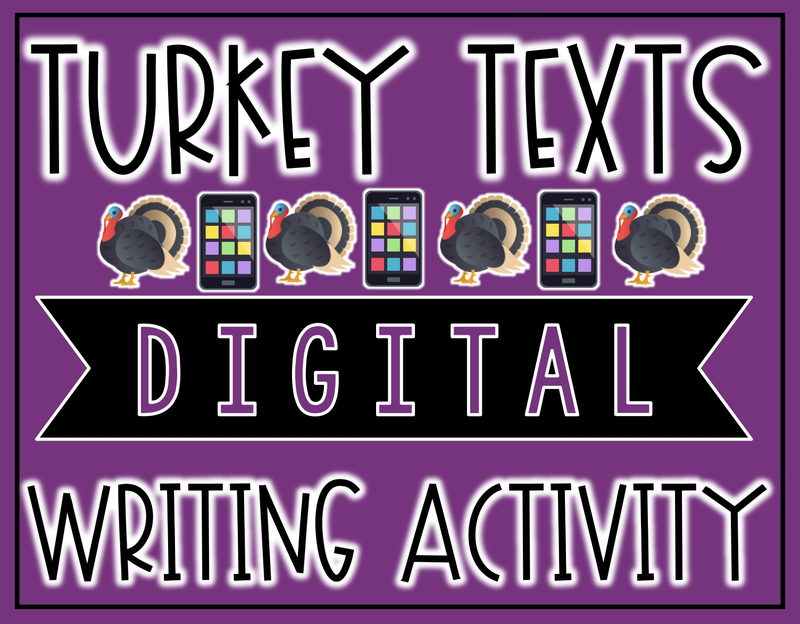 Yesterday I sent all of my email subscribers this Digital Writing Activity called TURKEY TEXTS . If you aren't an email subscriber but are interested in joining, click HERE. 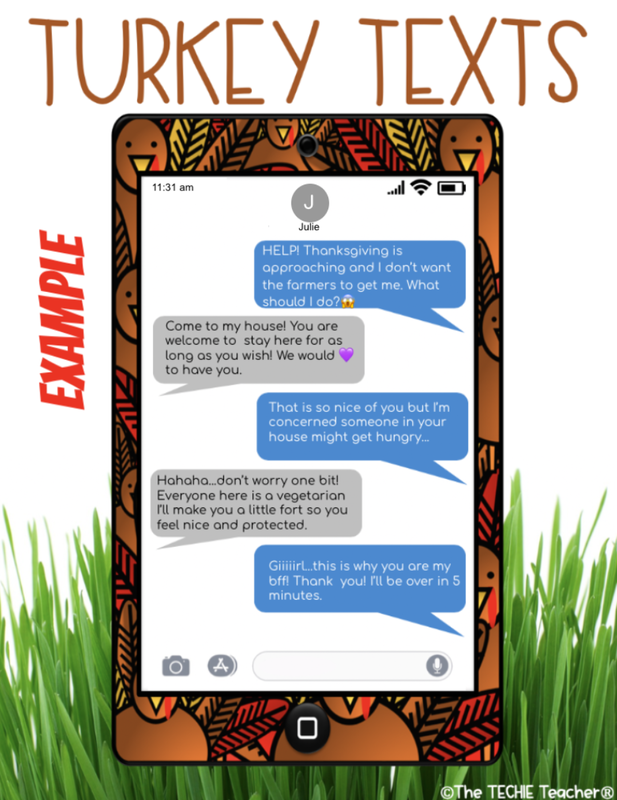 You can also find this activity available in my TpT Store HERE. You can assign this file individually for students to complete. Or you could duplicate the slides to make a collaborative presentation and assign each student their own slide to work on. 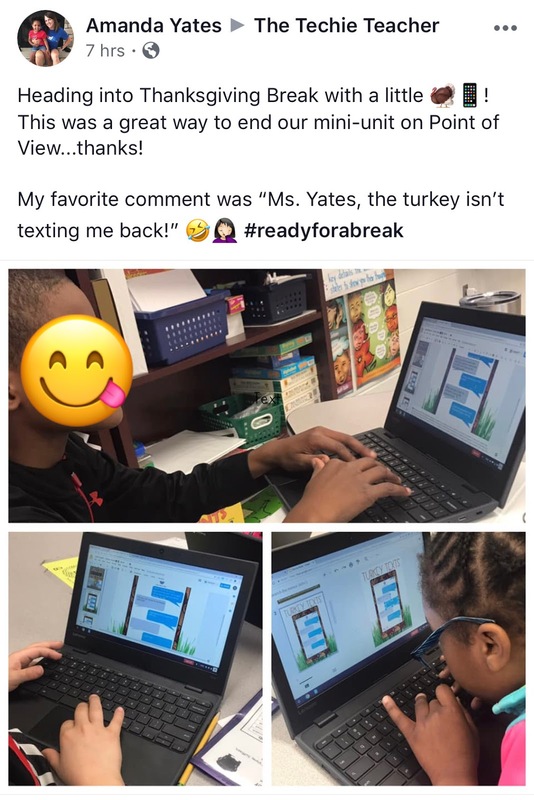 They will have a BLAST reading through all of the conversations their classmates created! Have a wonderful, relaxing and SAFE Thanksgiving!